I have a nice, ordinary, settled life. Aside from the fact that my son will be starting his senior year in high school here pretty soon, nothing exciting really happens around our house. I love that I get to write every day, that I belong to a church that challenges and grows me, and that I serve a God who is never dull or boring. But I like all those things within the bubble of my dependable routine. Then my phone rang a month or so ago. I was offered a part-time teaching job. And here’s the thing. 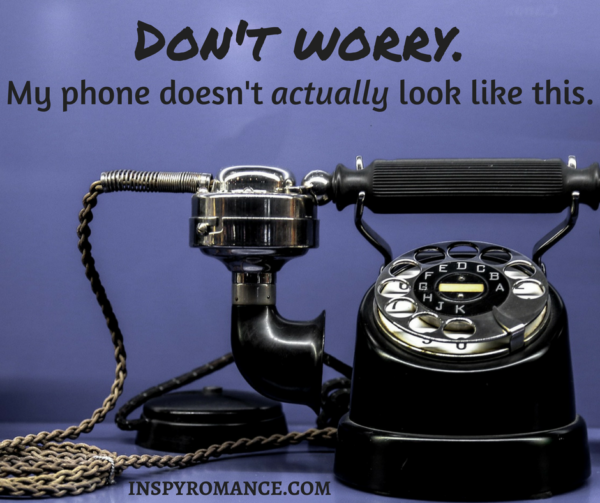 Before I even got off the phone, I knew God was saying, “Yes.” But I needed to discuss it with my husband. And I sort of wanted to give God a chance to change His mind. You know, just in case. Because – as I said – I like my nice little dependable routine. Of course, a teaching job means a change to my carefully constructed routine. It also means a dress code. I won’t be allowed to wear pajamas to work anymore. I’m pretty sure that falls under cruel and unusual punishment, but I’ve decided to submit to the authority that God has placed over me in that arena of my life. I even went clothes shopping as a show of good faith. I serve my readers best by investing myself in my writing. While the social media stuff and the emails and all that are part of being a writer, they’re not the most important part. Writing is the most important part of being a writer, and I need to be able to do that well. If that means the online interaction with readers and other authors gets put on the back burner for a little while, I can live with that. This is the season of life God has brought me to. He orchestrated this whole thing. He gave me this writing career that I love, that feeds my soul, and that allows me to use my gifts and talents to honor and glorify Him. But He brought this teaching job into my life, too. 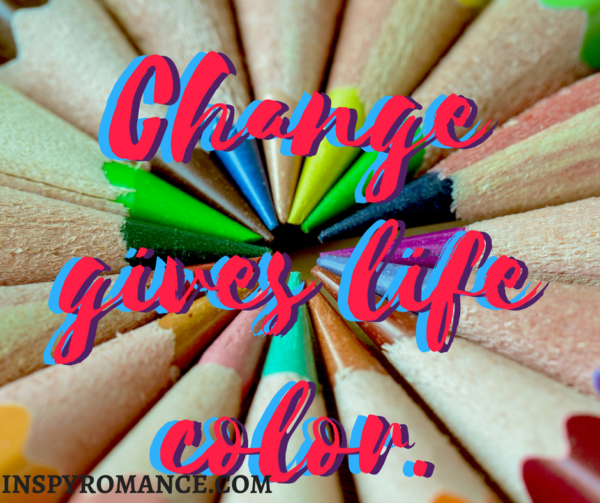 So, for today anyway, I am cheering for change in all its colorful glory. I’ve started putting up my bulletin boards and have a big teachery-looking super hero sign on my classroom door. I’ve read through the curriculum. I’ve started putting together lessons plans. And I’m excited to see what God has planned for this season of my life. What about you? Do you have any big changes on the horizon? How do you handle change? Do you embrace it or run from it? I look forward to reading your answers! Hi Heather! Congratulations on your teaching job and this new chapter in your life. Change is never easy and always an adjustment regardless of age or season in life. As a pastor’s family, we moved 15 times. This week I told my 9 year old grandson, that by the time his dad was his age, he had moved 12 times. Some changes were easier. Even though I taught for the same school district for 20 years, ever year was different, by grade level and subject matter. The most difficult changes were when the German program (my love) was dropped and I only taught English and a few years later when I was forced to retire a year before I was emotionally ready. Running from change doesn’t help. Running from change didn’t help Job in the Bible. Also often change happens for a reason. For example: Even though the district did not handle forced retirement in the best way, it was in God’s timing because my oldest son needed major surgery and now I was able to watch grandchildren. That made this major change so much easier. Do I miss teaching, yes and I have been retired for 5 years. Amen Renate! I used to tell people I was so allergic to change that I would break out in hives. I was joking, of course, but the sentiment was true – I dreaded change. 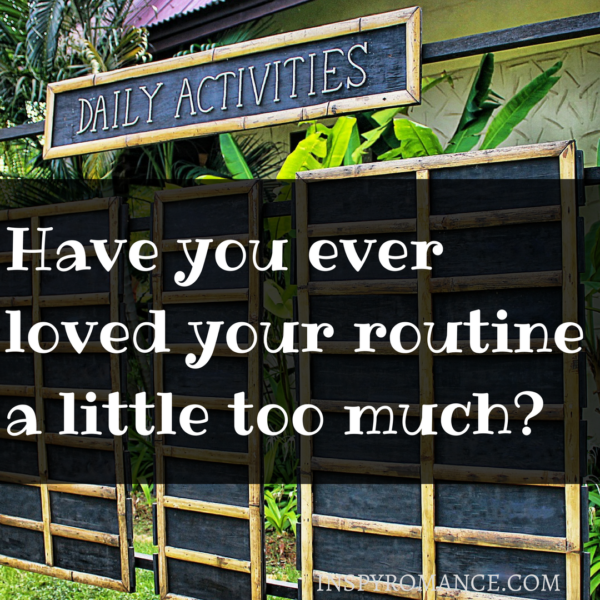 I depended far too much on my routine and not nearly enough on Jesus. God has been so patient in growing me, though, and even though I’m not always excited about change now when I see it on the horizon, I am able to embrace it. God is good and oh so faithful (not to mention patient!). My husband and I have just finished wrapping presents- our oldest turns 9 tomorrow and that blows us away- seeing him grow and watching him learn to adjust to changes! I don’t mind change, but I need to see a point to it/reason for it. I do believe that God guides our lives, so change is how He helps us grow- your description of stretching is very apt. Yay for birthdays! I hope your son has a marvelous day filled with family and love and that this next year of his life is spent appreciating all that he has while growing closer to Jesus. :) And you’re so right. 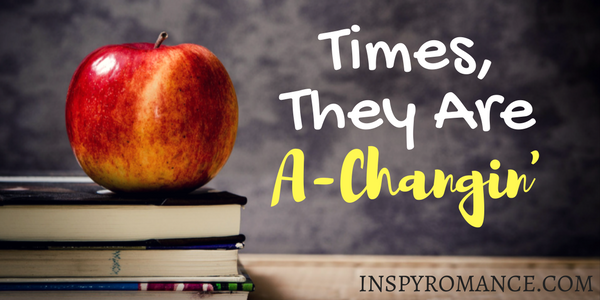 When we don’t understand why the change is occurring (or if it’s even needed), the change is much harder for us to accept. Sometimes in life, though, change happens – and we don’t get to know God’s reasoning. We simply have to trust that He knows what He’s doing and that He has our best interests at heart. Those are some of the most difficult changes to weather because they come with the flavor of the unknown, and the unknown doesn’t always taste good. But even when we don’t know where He’s taking us, we can know who God is, and we can known that His will for our lives is perfect…even when it feels confusing. I tend to fight change at times and embrace it other times. Working part-time I embraced it and when I started full time I fought it every step of the way. I’m starting to come to terms with working full time after I’ve been at it a year but it’s rough on me physically. Praying is a constant and I will not stop. Praying for you as well. Constant prayer has come up in so many conversations I’ve had recently. Everything from work to parenting to marriage to life in general. Since it keeps coming up (and I’m not the one bringing it up), it leads me to believe that God has a message here for me… You’re so, so right. Prayer is how we get through all of life’s difficulties, and it’s something we all need to do more. Thank you for your prayers – I appreciate it! I’ll be praying for you, too. Hugs! Change is hard and no, I don’t like it. A lady in my quilting group has just taken in her 5 day old great granddaughter to raise rather than letting her go into the foster care system. The child may have health issues due to the mother’s drug use. I can’t imagine being brave enough to take that on. I was talking to a pastor’s wife years ago. My preschoolers were being their normal rambunctious selves, and she smiled at my kids and told me, “There’s a reason God created made it so women have their children before they get too old. Because we reach a certain age, and even happy children get on our nerves.” ^_^ I’ve always thought about that. I absolutely loved having young children when I had young children. And I loved having gradeschoolers when I had gradeschoolers. And now I love having a high schooler. But as the mom of a high shooler, I don’t look at preschoolers and think about how adorable they are. I look at them and think how exhausting they are… ;) Your friend obviously has a good heart and a healthy measure of patience. I hope things go well for her and the baby – and that the baby’s om is able to pull her life together so that she can regain custody of her daughter at some point. I too like routine. Ours just changed in a huge way as we relocated from northern Virginia to Kentucky. We’ve been blessed with a new 4 bedroom house that is all on one level and has a driveway and a garage. After 30 years of townhouse parking (and towing) and 3 levels of stairs it is a good change. We are slowly adapting to a new location. God bless your class! I have a friend who moved from northern Virginia to West Virginia last year, and life is so different for them! They, too, moved from the 3-level townhouse situation (with towing!) to a beautifully spacious four bedroom historic house. When my son and I first went to go visit them, my son kept commenting how nice people were. He would hold the door open for someone, and they would thank him…and he wasn’t used to that. ;) Some changes (like moving out of northern Virginia) are good and welcome. ^_^ I hope you flourish and thrive in Kentucky and that God blesses you abundantly and gives you great opportunities to connect with people and your community. thanks. People really are polite. Cars stop and wait for you. We cause traffic back ups because we’re waiting for them and they are waiting for us. We’re praying for a church home. Finding a new church can be intimidating. God knows exactly where He wants you, though. It’s just a matter of listening to (and maybe waiting on) Him for direction. Sometimes I think that finding a new church is a journey that God takes us on. He doesn’t always lead us directly there – maybe because there’s something along that path He wants us to see/learn. I’ll be praying that the search is as painless as possible for you!! There is a freedom that comes with being self-employed, and that freedom is hard to give up. Every now and then I have to ask myself if I’m *really* prepared to have someone telling me what to do and when to do it. Then I take a deep breath and remind myself that God put this whole thing together and that these changes might pinch a little bit, but that if it pinches, that just means I need to work on that area, on letting some things go. (Like, oh, I don’t know. Control, maybe?) Ha! It’s going to be an adventure, that’s for sure! I hope your job situation gets sorted out and that you end up in exactly the position God has for you. Heather, your story about working part time during your son’s senior year mirrors my own. It’s awesome how the Lord knows what we need and at exactly the right time. I never imagined I’d be working in a high school and now I’m going into my fourth year. I do have to juggle my time, but working part time is best for my mental health. :) Blessings on your new adventure. God is so faithful and good to us! He knows what we need – and puts everything into motion to meet that need – long before we even realize we have a need. He takes such precious care of us. Congrats on your new job… I think! I’m sure God is guiding your footsteps as you travel this new path. We moved 12 times (7 community changes) in the first 20 years of our marriage, and have now stayed put for 17 years – starting to look toward another move in the next few years. There have been many job changes in those years as well. I found so long as my foundation (God, husband, family) was stable, I was fine. Congratulations on the new job! I’ve lived with change my whole life. Like Renate we moved a lot, but not as much as she has. Moving definitely gets you used to change and kids growing up and leaving home. My biggest problems is a change in my weekly routine. I do certain things on certain days, and if something new is thrown into the mix, I’d better have a reminder programmed into my Outlook calendar or I’m very likely to forget it. I need those reminders. Congratulations on the new job!!! It’s a “God thing” indeed if you’re facing empty nest next year. As a reader, I really appreciate your books (“Nowhere for Christmas” gave me great laughs) and will miss them, but I understand the need for change and am glad you’re embracing it, even though you’re not one for changes. Is this your goodbye post? I’m assuming “While the social media stuff and the emails and all that are part of being a writer, they’re not the most important part” means you’re not writing blog posts anymore? Hope you’ll come back as a guest to let us know when you publish new books (even if they take some time). I’m glad you’re staying, because I also enjoy reading your posts. Now I’ll also be up-to-date with your new books and what’s going on at school ;) I’m hoping you’ll bring up the funny stories. Thank you Jackie! Have a marvelous day!! Praying to all progressed beautifully well, Heather, and that your new routine becomes as contented as the old one! Gotta agree on the pajamas, though! Hi, Heather! Congratulations on tbe teaching job offer, and I hope you’ll love it. As a former teacher, I think teaching is a challenging profession but a very rewarding one, too. As for change, oh, I’m so afraid of it it’s not funny. But I found out in the past that it can be often a good thing. Blessings to you and your family in this new stage of your life! I used to embrace change but the older I get the harder it is. Congrats on the new job! I’ve been praying for peace & for wisdom for you! It seems like I am constantly reminded that “all my changes come from God, He who never changes.” And I love the next line of the song, “I’m held firmly in the grasp of the Rock of All the Ages.” I hate change, but I’m thankful that God nudges us into that colorful, fruitful life where we get stretched, and yet grow closer to Him. I just wrapped a 30 year career teaching (public) high school English and creative writing after a cancer diagnosis. Now is my season to write full time as I have long dreamed. I know my teaching career was for God’s purpose–I touched thousands of lives over the course of my teaching years. I am new to this blog, and loving it. (I write Christian romantic suspense, women’s fiction, poetry and nonfiction. God bless you as a teacher and writer! I’m so glad you stopped by today Susan! I’m sorry that something potentially frightening led to the changing season in your life, but I’m so glad that God is sustaining you and giving you something you love to help fill your days. I have often said that writing is a special gift God gave me during a very dark and trying time in my life. He knew that I needed something positive, something that would encourage me, give me hope, and connect me with people in a way that would allow me both to be ministered to myself and to minister to others. He understood my needs so much more than I did, and He gave me writing. I will always and forever be grateful for the tender care God took with me when He led me onto this path. And I’ve learned now to recognize these paths – or these seasons in life – as God’s way of seeing to our needs before we have a clue what they are. He’s so good and faithful. I hope that your writing is as much a gift to you as mine is to me. Blessings! Change is hard , very hard ,but hey ! GOD is in control !